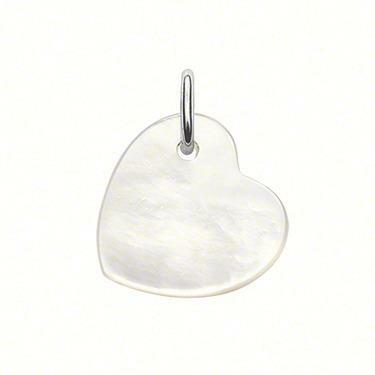 A small, beautiful Mother of Pearl heart disc, ideal for a small Silver charm to go alongside it. This charm is also available in a larger size. Carat: the carat weight is the weight of a stone. The size of the stones varies depending on the pieces. Cut: ALL Thomas Sabo diamonds from the Sweet Diamonds collection are round brilliant cut. Clarity: The clarity of the diamonds range from SI1 to SI2. This means that small inclusions are visible under 10-fold magnification. Colour: our diamonds are G to H colour (Fine White - White).